This was Bramah’s Five a Side football team. We all worked there. 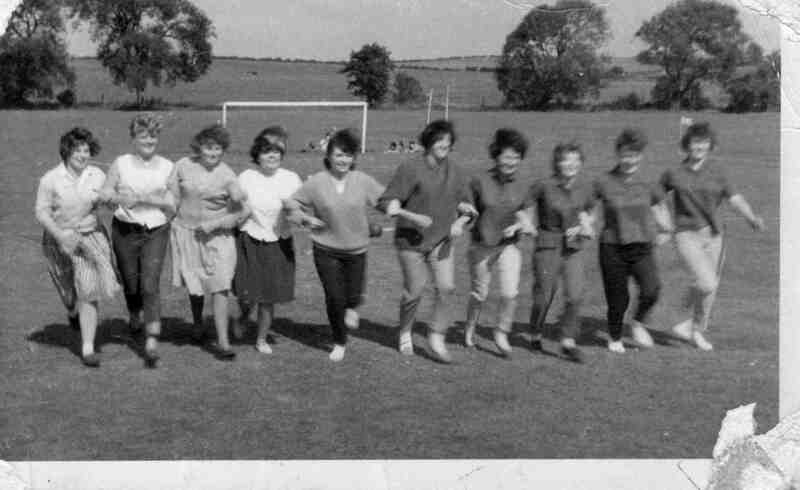 From left to right – Me (Janet Morgan – nee Higginbottom), the seventh one along I think was Eileen Staniforth, then Hilda Hancock, Betty Paget. I can’t name the one on the end. I loved working at Bramah’s. I left then to go to Australia on the £10 scheme with my parents on 20th November 1963 on the Canberra from Southampton. It was like heartbreak hotel. I cried all the way on the train from Sheffield to Southampton. I was 16.